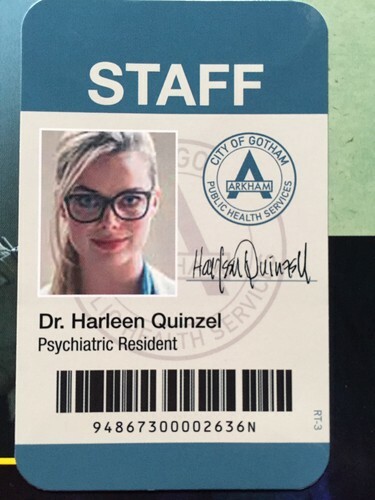 Dr. Harleen Quinzel's ID. City of Gotham Public Health Services ID.. HD Wallpaper and background images in the Suicide Squad club tagged: photo suicide squad movie 2016 identification card margot robbie harley quinn dr. harleen quinzel. This Suicide Squad photo might contain anime, fumetti, manga, and cartoni animati.